We’ve all seen them. The thousands of billboards and TV commercials stating, “If you or someone you love…” This is a personal injury attorneys’ bread and butter, and seeing as there is no shortage of attorneys these days, it can get pretty redundant for viewers. As a personal injury attorney, you’ve likely struggled to make your firm stand out in the crowded market. While attorney marketing tactics, like billboards, can be helpful, simply slapping your picture up for the world to see isn’t going to do the trick. So in the competitive sea of personal injury attorneys, what’s your best move? We’ll let you in on a little secret. You need to focus on the “B” word, branding. Taking the time to craft a thoughtful, original brand image that speaks not only to your firm, but to your professional identity is a great way to distinguish yourself and draw potential clients to work with you. 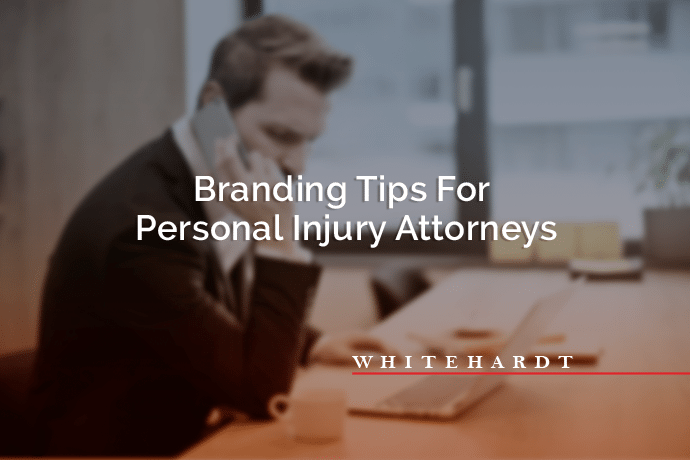 As a personal injury attorney, strategic branding is important, because your brand is the first thing that potential clients see, hear, encounter, and easily recognize. It’s what you’re known for, and it’s present in every aspect of your firm. A big portion of an attorney’s success in the legal field is based on their relationships and reputation. Having a clearly established brand that illustrates what you and your firm are all about is one of the best ways to create good relationships with current and future clients. Furthermore, it will help nurture the kind of reputation that you want to have as a personal injury attorney. Also, keep in mind, if you aren’t deliberately developing your brand, people will make assumptions and get false ideas about your firm. Review sites like Yelp and Google+ see a lot of visitors every day. You can bet that when a potential client needs legal services, they will check one of these sites to find a firm with a high rating. If your listing is sparse or your brand doesn’t shine through, people will likely hire your competitors. Luckily, you can manage your appearance on these sites to an extent, and ensure any online content matches your professional identity. Take control of the way people see you and your firm by establishing the personal brand you want. What is your mission? This is a big one, and can oftentimes be challenging to put to words. Your mission tells people what your firm is all about. Make it clear and concise, so potential clients know exactly what your firm has to offer, and how you can help them. What are your areas of speciality and who is your target audience? 2. What do you and your firm particularly excel at? By identifying and promoting your skill set, you will naturally attract clients whose cases align with your strengths. When clients can plainly see where your expertise lies, they will be more inclined to hire you when they need an attorney with your distinct experience. What sets you apart from other personal injury attorneys? What do you wish more people knew about you and your firm? Bonus tip: branding is not about painting a false picture. Instead, successful branding and attorney marketing should present the best version of yourself, highlighting your firm’s unique skills and strengths that potential clients can easily recognize. People crave authenticity and honesty when searching for legal representation. They need guidance and someone to stand up for them, not empty promises and false advertising. Take these questions seriously, and build your brand around truthful messages that clients can relate with. When you do this, potential clients will be much more likely to call your firm. The answers to the above questions should be clearly illustrated in all your branding choices. Any misinterpretations of your mission or the quality of the service you provide can push away potential clients. Therefore, every branding and attorney marketing decision you make for your firm should be highly intentional and purpose-driven. This way you can ensure every choice supports your brand and the experience you want clients to have when they interact with your firm. When it comes to branding, consistency is key. Everything from your website, social media pages, advertisements, business cards, logo, and mission should correspond and represent your brand. When all these different elements are well-managed, up-to-date, and consistent, it positions your law firm as a compelling and credible voice in the saturated personal injury market. On the other hand, when all these tools aren’t working to support the same message and goals, you run the risk of confusing potential clients. Think about it, if someone sees one of your ads and then decides to visit your Facebook page or website, but finds that the information, message, or overall presence isn’t cohesive, it’s not going to leave a good impression. Even worse, they might believe the ad and your website are promoting two separate firms. Think of potential clients as sheep, and all the attorney marketing tools you have are working together to herd the sheep in the same direction. If you’re marketing your brand incorrectly, the sheep are going to get lost and run away from you. Be firm in your skills, experience, and what you can offer clients across all your platforms. Otherwise, they will not remember you. 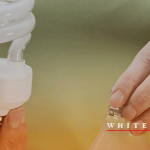 Is thoughtfully crafting your brand easier said than done? You bet. That’s where Whitehardt comes in. Our team of creative legal advertising minds are some of the best in the business. We’re brand-building experts, and know how to implement attorney marketing tactics that work. The comprehensive services we offer can help you make an impact and convert these tactics into leads. Contact us today for a consultation.